Featuring read speeds of up to 475MB/s, the SanDisk SSD helps unlock your PC's potential. You'll enjoy faster operating-system boot up, quicker program launches, and smoother overall performance with games and other multimedia applications. And thanks to the SanDisk Solid State Drive's 6Gb/s SATA interface, you'll spend less time waiting for files to transfer. Unlike traditional hard-disk drives (HDDs), the SanDisk Solid State Drive has no mechanical parts. This makes it more resistant to wear and degradation than a traditional hard drive. The SanDisk SSD is tested to last up to 2 million hours mean time before failure (MTBF). The drive is also shock resistant, vibration proof, and temperature proof, giving your data extra layers of protection. Thanks to its solid state design, the SanDisk SSD consumes less power and produces less heat than a traditional HDD. This lightens the load on your PC's power supply and cooling system, lengthening your system's lifespan. SanDisk SSD has enough space to accommodate your OS and your favorite games and applications. The SSD can also hold all of your most important data, including photos, office documents, and family videos. 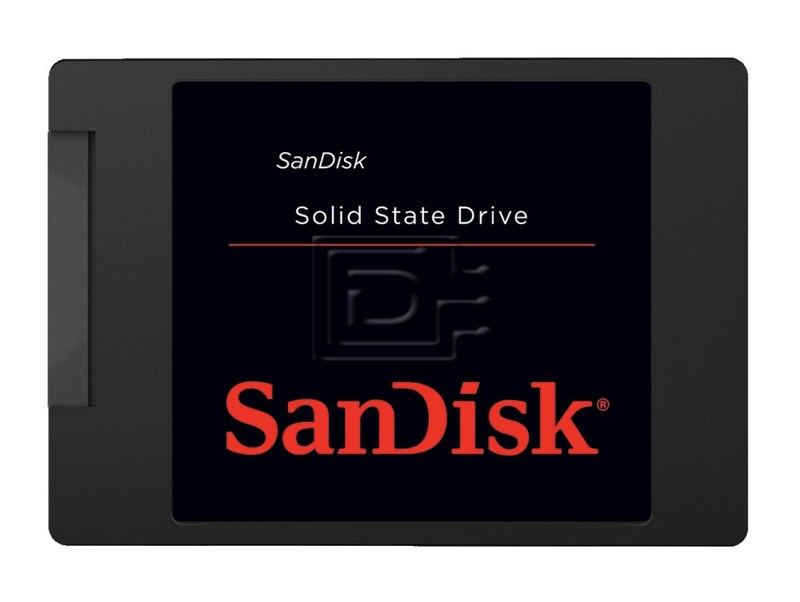 The SanDisk SSD is compatible with SATA 6Gb/s ports and is backwards compatible with SATA 3Gb/s and SATA 1.5Gb/s ports.